Tabo has found his forever home, together with his friend, Nube! 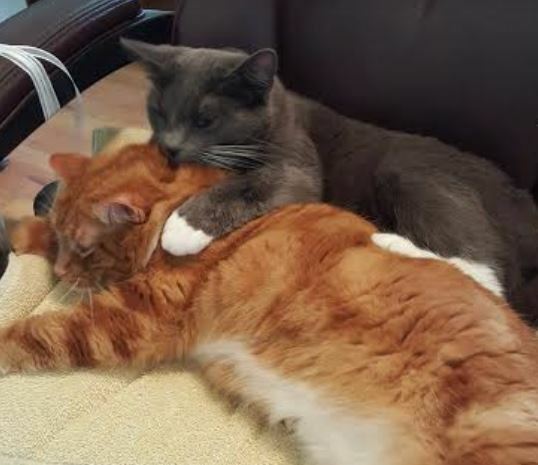 This adorable pair of cats are now the furry family members of Pat and her husband in Corvallis, OR. We are really proud to have been able to find a home for this pair of cats together in just 5 days! 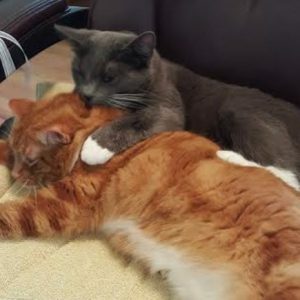 Do you need to find a good home for your cat, kitten or pair of cats in Portland, Oregon and area? 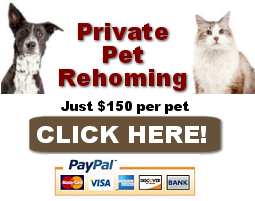 Request Our Cat Rehoming Services Here! Portland, Oregon – Meet sweet, shy, Tabo. This 2 year old Tangerine purring machine is about as nice a cat as you are going to find anywhere. 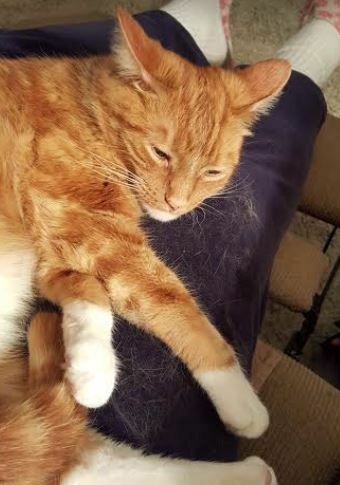 He is so pretty and unique, with his soft, full, white ruff and brilliant orange tabby markings, adorably accented with cute white paws. Tabo is just 2.5 years old and very healthy. He has been neutered and is up to date on his shots. His owners have lovingly care for him and raised him to be the wonderful companion he is today. Tabo is the ultimate “LOVE CAT”. A warm, snuggly bundle of fur that makes you feel that all is right in the world. Tabo can be shy when he first meets you. He warms up to you in his own time, and when he feels comfortable and safe, there is no more loving a cat. He’s afraid of small children, as are most cats, but older, respectful children should be able to earn his trust. He is accepting of other cats and dogs as well. Tabo, along with his friend, Nube, is looking for a very loving home. Their owners are doing a lot of traveling, and the cats are home alone far too much of the time. Additionally, the costs of cat sitters for extended trips are becoming a lot to bear. The owners would love to see Tabo and Nube and in a loving home with people who have lots of time to spend with them. Whether they are placed together as a pair, or separately, Tabo and Nube and have a lot of love, joy and companionship to offer their new owners. Tabo is only 2.5 years old. He has been neutered, fully vaccinated and has a clean bill of health. Veterinary records will be provided to his new owners, along with any supplies the owners have for him. 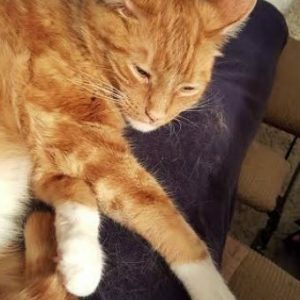 Please offer this gorgeous tangerine and white purring machine the home he needs and deserves today! Tabo is shy and slow to trust. Very gentle and affectionate and purrs all the time. He loves to eat and sit in my lap in the evening before bedtime. He is predominately inside now. When he was outside he would hunt in the yard but did not venture too far from home. He allowed other cats in the yard. He prefers women over men and does not enjoy children. 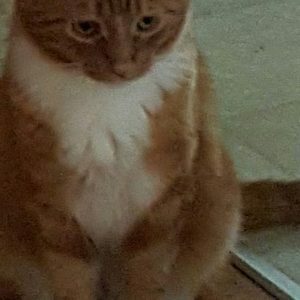 We are traveling, have 2 cats and they are home alone too much, and unable to carry them with us. 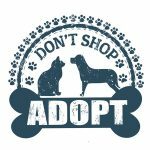 Finding good homes for preloved dogs, cats, puppies and kittens throughout Oregon.